1. First things first: can you really get rid of feelings? Can you get rid of feeling of pain? Joy or disappointment? Why don’t we look at emotions as symptoms… When you have physical pain in your body you may try to get rid of it with painkillers. But being smart and mindful you would know that the pain may be a symptom of a deeper issue and you would investigate it. What could happen with the body if we ignore the symptom? In the effort to get rid of certain feelings, you may want to suppress them, numb yourself. At the same time you should expect that you will not be able to fully enjoy the positive emotions too. And if you suppress, store, accumulate, at some point you may become an exploding doormat. But don’t worry, I am not going to offer a psychotherapy session to bring unpleasant things up and mull over them forever. 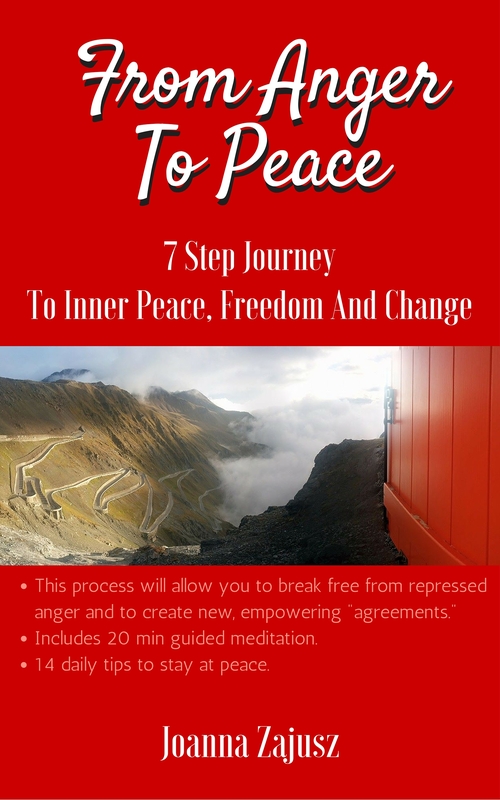 The ebook “From Anger to Peace – 7 step Journey to Inner Peace, Freedom and Change” is now available on Amazon. It takes you step by step thru the process of releasing anger and resentment and yo get access to fee 20 min visualization to help you live according to new agreements – agreements you create to live with more peace. View your emotions “as vehicles for transformation (the word emotion comes from the Latin meaning “to move”) rather as simply as feelings that make you happy or miserable. Expect them to test your heart; that’s the point. […] Facing emotions – all of them- is a courageous, spiritually transformative act.” Judith Orloff, M.D. When you can’t get rid of something – transform it. However all emotions, those with good and those with bad reputation, are available to everyone all the time. Of course the difference between people is we are triggered by different things. And when we are triggered, we react with a different degree of intensity. We may be “trained” (by our parents, past, experiences, state of mind, practice) to feel this or that emotion more. We can be trained to feel and show the positive more often. It can be more of a choice. A matter of right focus. Do people who meditate still get angry? Whatever triggers you, may cause you to react automatically, without considering the consequences of your actions and words. When you practice meditation, there is a space, a cushion, created between the trigger and your reaction. This space, that may last a fraction of a second, allows you to make a decision about how to respond to the trigger. It allows you to quickly analyze consequences of your spontaneous reaction, and, likely, change the reaction to one that is constructive, or at least less damaging. Once you do that, you are actually no longer REACTING: you are RESPONDING. Mindlessness doesn’t consider consequences (that’s why the trigger is pulled, and the words that hurt are said). Even well justified anger if it is channeled into mindful action – brings (generally) better results (sometimes not- but so much good judgement must take place in that fraction of time) You don’t need to practice meditation to know this. You can be naturally mindful, or you developed a mechanism that help you do that. But since all emotions are available to everyone, you don’t completely lose the ability of feeling it. People who have been meditating for 20, 30+ years (and are famous teachers of meditation) still report of incidents when they get mad, angry, unpleasant. They can still “lose it”. Meditation allows you transform anger, possibly feel it with less intensity, make better choices about expressing the emotion. It may bring you insights as to how to avoid situations that lead you to it. It also may eventually create so much peace within you, that the people and things that made you feel bad before – no longer have any power to shake your peace. You may also achieve the same results by simply living, observing, and drawing conclusions… what’s worth your time and energy? Warning: Be aware Meditation magnifies truth. It will magnify the good. And the ugly. If you deal with unexpressed anger and injustice, it can actually bring it up, animate it. See it as a creative energy. It may bring to the surface things you need to deal with to move on to the stage of transformation, mindfulness. Keep going (sitting). Otherwise, why meditate? 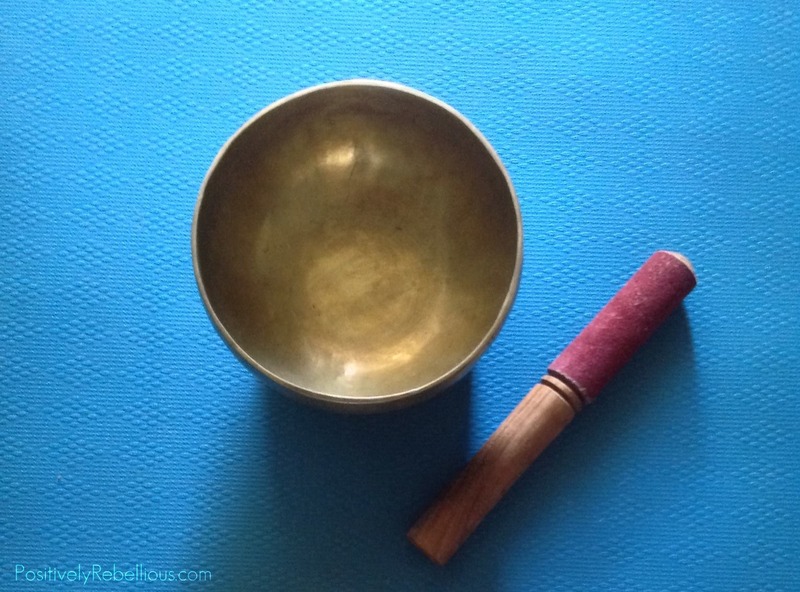 How is meditation helping you? How were you able to transform negative emotions ? What do you struggle with when it comes to meditating or out of control emotions? Are you enjoying this blog? Sign up for Updates, Free Guided Meditations and Content I Only share with my subscribers!